With tons to see, experience, and enjoy, Hawaii is a hotbed of activity around sunset. We love the way this picture captures both the busy feel of the shoreline as people hustle by and the steady sureness of another beautiful Hawaii sunset. 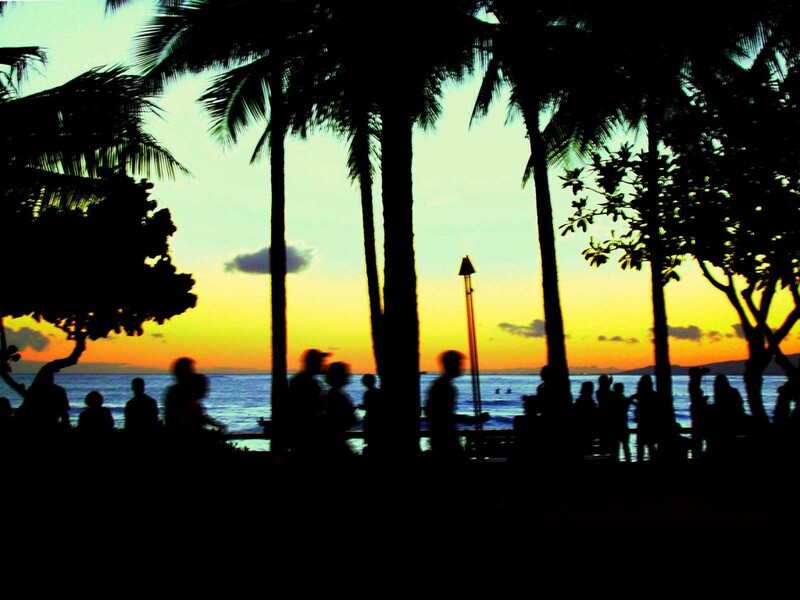 Complete with silhouetted figures, palm trees, tiki torches, blue ocean, and yellow-orange horizon, it is hard to beat Waikiki from a relaxed vantage as the sun fades into the Pacific. Due to Hawaii’s latitude and isolated location, the sun sets quickly and stars shine brightly.